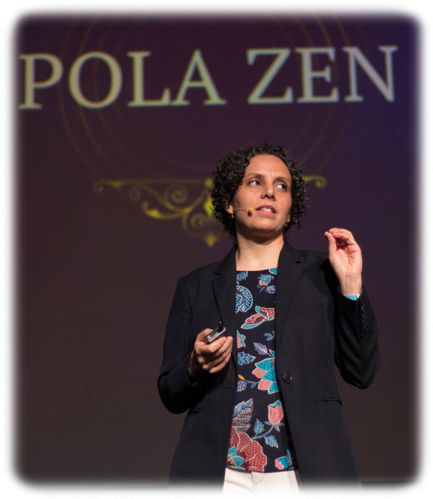 An award-winning storyteller, Pola explores how the combination of ideas, technology and distribution have the power to connect people and create meaningful experiences. Focused on exploring behavior in both digital and physical worlds through data, and fascinated by Gen Z, she has published reports and speaks publicly about consumer trends, and the impact digital transformation has on people, products and brands. I speak at industry conferences, corporate retreats, and other live events about Digital Transformation and the behavior of Generation Z, the first generation of digital natives. I direct videos that tell the story of companies, customer testimonials, product descriptions and more. Here you will also find my award-winning short films. I write articles about marketing, consumer behavior, digital trends, and more. Click here to read some of them, as well as my travel blog from South American adventures. The once distinct line between a creative and a technologist has been blurred, making now the best time in history to be both. Increasingly, we see the application of artistic skills to technical platforms have an impact on engagement, interaction and success. The essence of it, however, has never changed: to create a connection through real, honest and valuable communication between one who has a message to share and one who has the desire to listen. Pola's conference on Gen Z and digital transformation was one of the highest rated among the 1200 attendees of SingularitU Summit in Mexico. It is an absolute must for anyone looking to connect with the digital generation and understand how to use technology to our benefit. I look forward to working with her again and again. Pola is the perfect "new age" marketer. A rare combination of creativity, data orientation, amazing execution skills, great content capabilities, and strategic marketing perspective. She can take any kind of a project from the idea all the way to delivery in the most efficient way, while understanding the bigger picture, but thinking of the smallest details. An outside-of-the-box thinker, Pola is never afraid to innovate or push the limits of content marketing. She’s extremely passionate and caring - both at work and for her community - and is one of those people who makes an impact in every place she is.